Year and month from page 313 of "Transformations: The Story of the Science Fiction Magazines from 1950 To 1970" by Michael Ashley. The actual date of publication was most likely 2 May 1958. 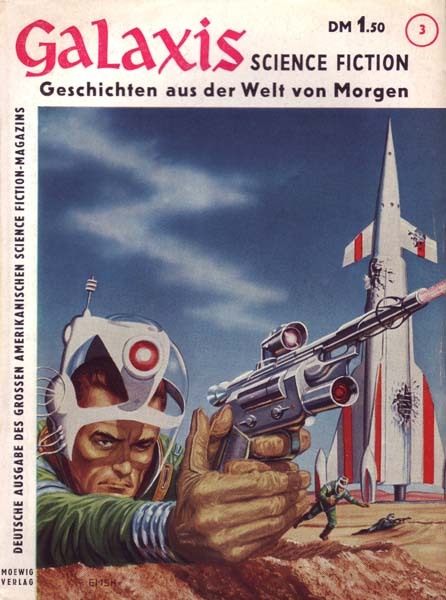 On the first page of the magazine - the content page - it says roughly translated: "Authorized German edition of the American magazine 'Galaxy Science Fiction', the latter edited by H. L. Gold. - Constant scientific contributor Willy Ley".